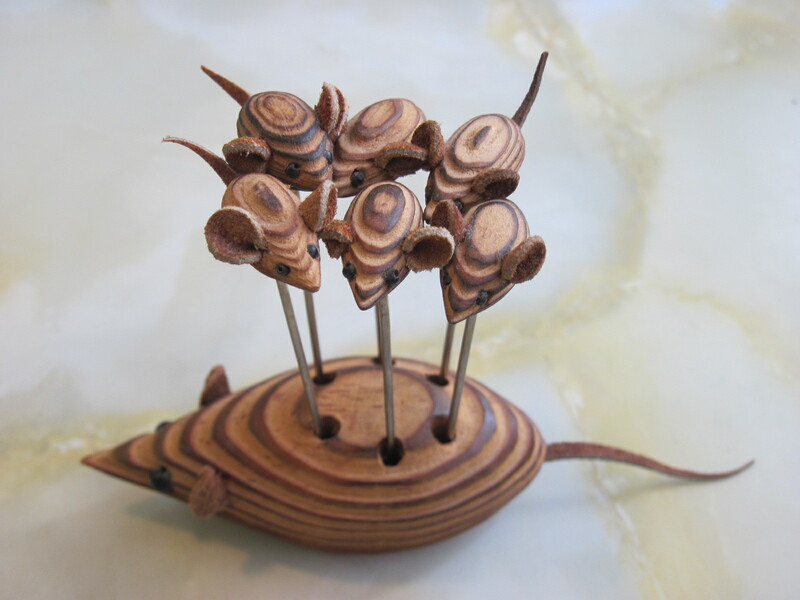 This is another very cute set of wood mice cocktail spears/picks. Could be made in Japan or even Denmark but there are no markings on the bottom. 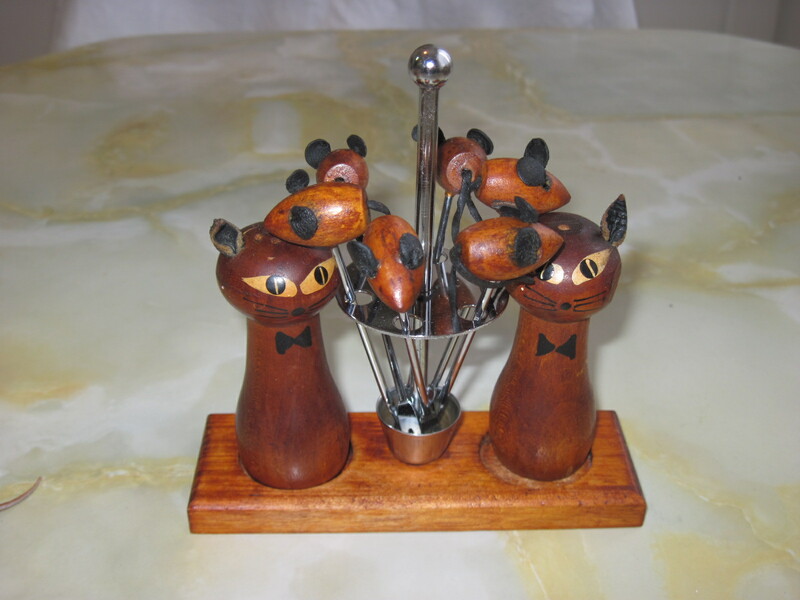 All made of wood, with leather ears and tails. Designed by Ulster Weavers of Ireland on Pure Irish Linen. Condition is as new. 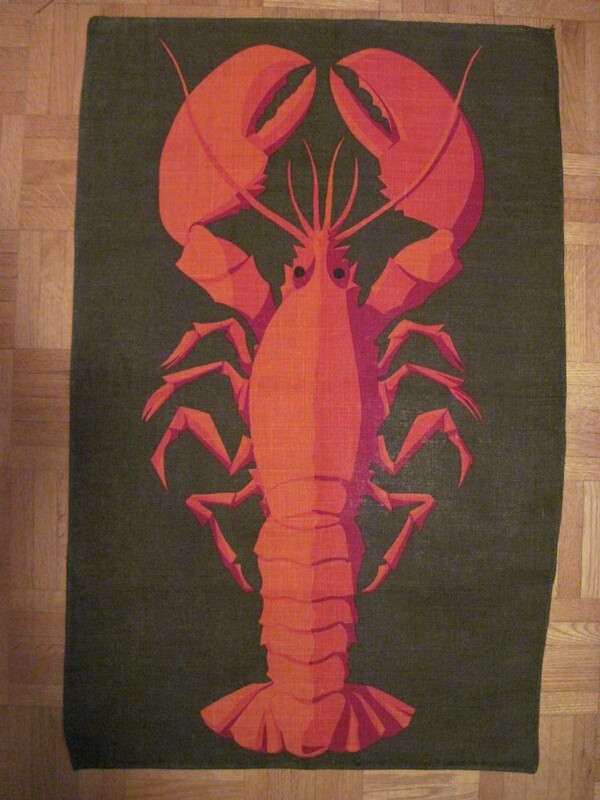 Nice colourful Lobster on tea towel. Background is a dark green. 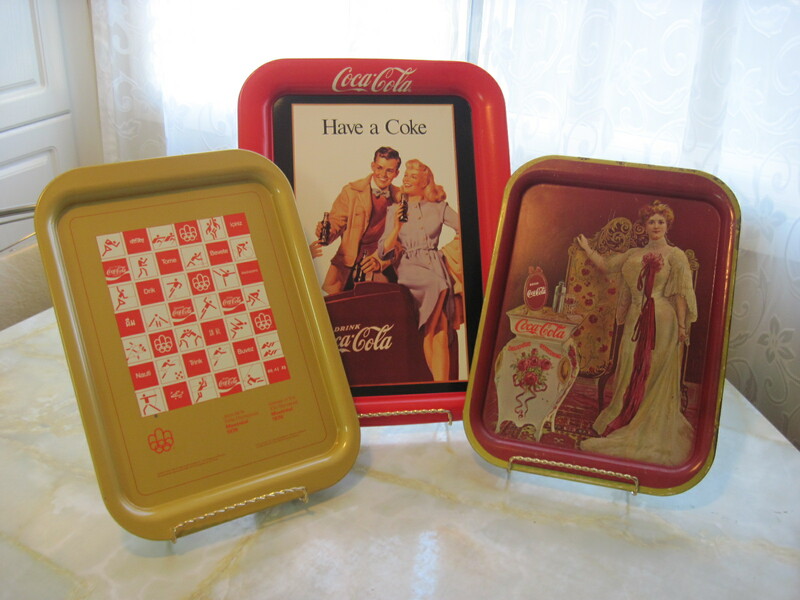 Priced at $12 For this and other Fab Finds, please visit my booth in the Almonte Antique Market, 26 Mill Stree, Almonte ON. Just 30 minutes west of the city of Ottawa. Open year round, 7 days a week from 10am to 5pm. Over 50 vendors in a 2 storey brick heritage building in the town of Almonte. 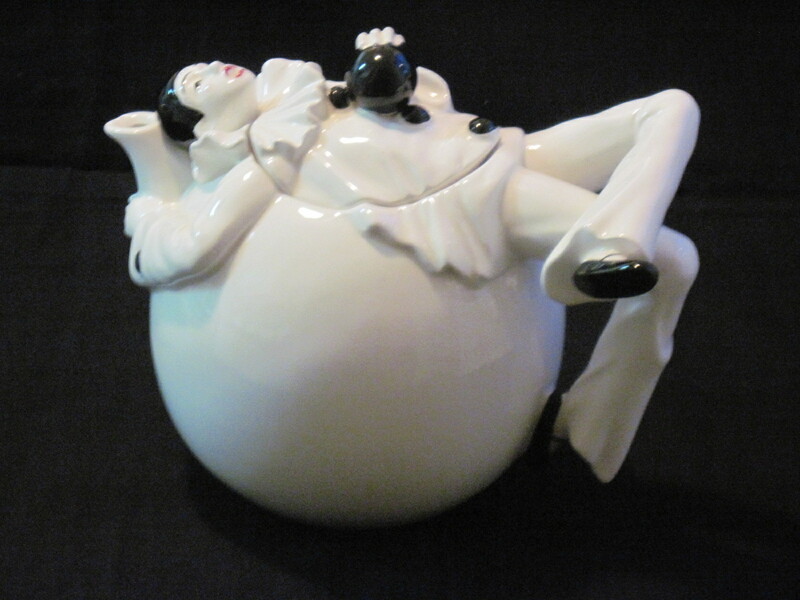 Unique teapot from Tastesetter by Sigma, with a Pierrot clown reclining on the top, forming the handle and lid. The teapot was made in Japan and imported by Sigma which was a division of Rockville International operating in Garden City N.Y in the late 1960’s and 70’s. 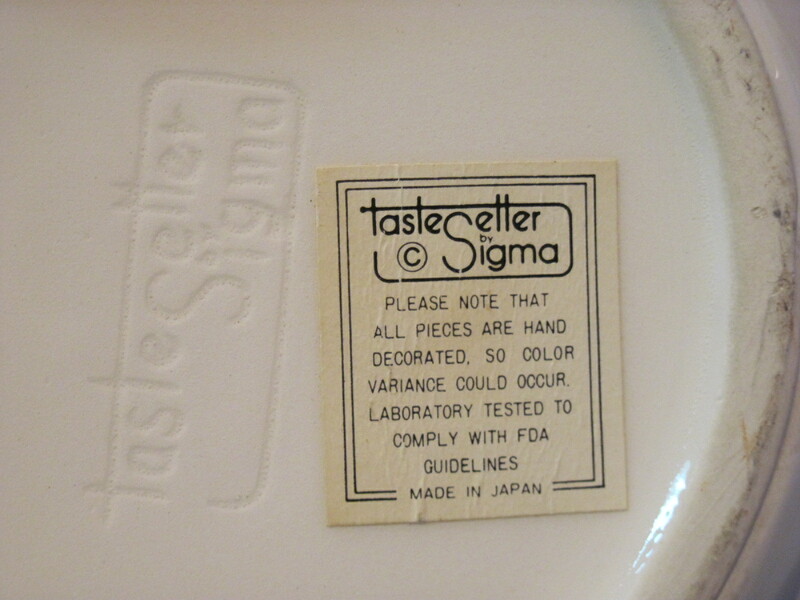 Sigma was only around for about 10 years so these whimisical items are hard to find and thus very collectible. 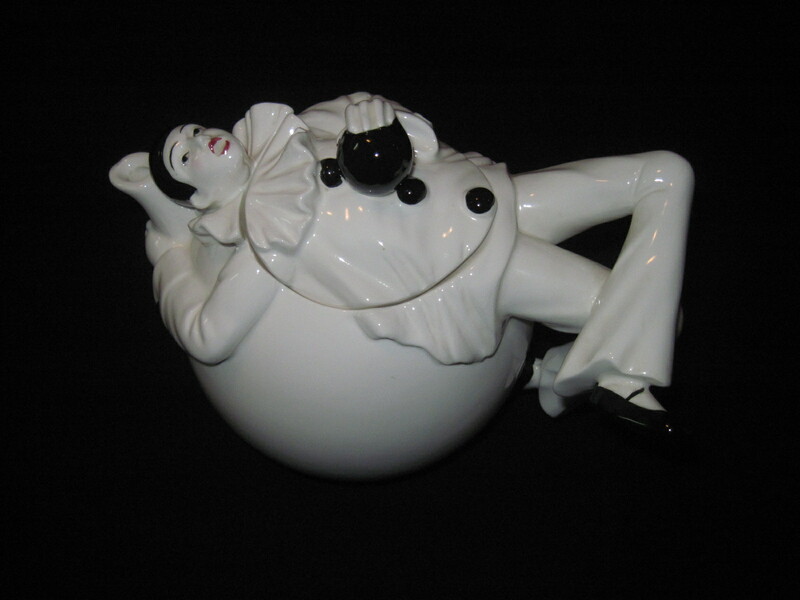 This piece probably dates to the early 1970’s. The condition is excellent, no nicks or cracks or other damage noted. 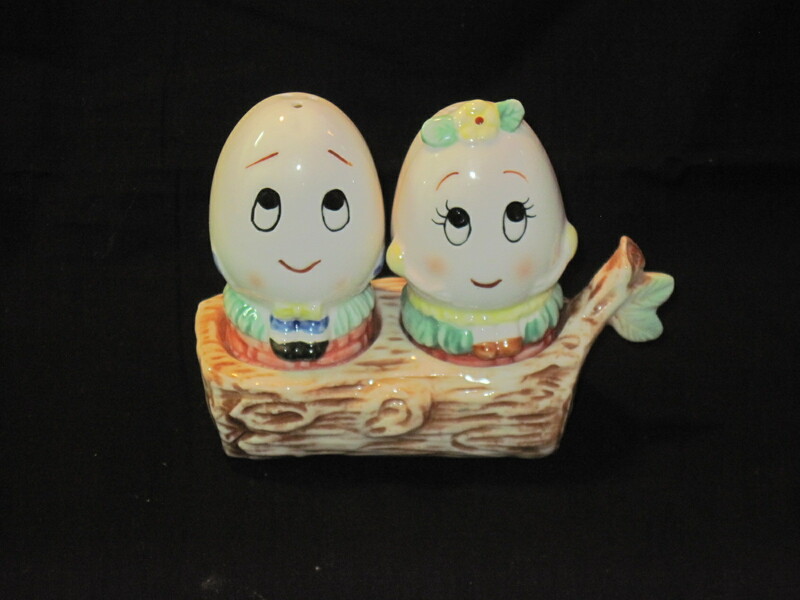 You can find this item and other treasures at my booth at the Almonte Antique Market, 26 Mill Street, Almonte ON, just west of Ottawa, ON. Open 7 days a week, from 10am to 5pm, all year round. Visit my booth at the Almonte Antique Market, 26 Mill Street, Almonte ON. Open 7 days a week all year round. Please note that I do not ship items. Please note this is now SOLD! !